January | 2014 | Franchising You. You wish to buy a franchise, so what’s next? Investing time to research and to understand your business concept and financing options are critical first steps for any budding franchisee. Franchising is a partnership between you and your franchisor, and it is important your revenue expectations, value system, and professional passions align well with the brand with whom you ultimately choose to partner. No time to data dive? Re-prioritizing your time to evaluate what you want and where you want to go is critical. Early research to discover myriad options available to you is a necessary step which will lead you toward the concept which fits best with your goals. Understanding the size of the average location in revenue and capital investment is important as you take stock of your goals. Franchising is ideal for those looking to plug into and adhere to a proven system. Taking the time to evaluate your situation, your strengths and weaknesses – not only financially but personally – prior to making the decision to franchise is crucial for your long-term success and overall satisfaction. In addition, consider your future goals in as much detail as you can. For example, ask yourself if you want to own a single franchise, or do your aspirations align more with a multi-unit structure? Do you already own another business? If so, do you have the time and energy to focus on a new endeavor? Be sure to assess any possible risks for the steps you plan to take. Operating and owning a franchise can require extensive time, commitment, and money. On the other hand, franchise concepts have track records which are transparent and which allow you to achieve your goals without developing, executing, and refining untested practices. Business. The company you ultimately choose should offer synergies with where you’ve been up to this point in your career. You should be able to identify your prospective individual job duties and larger staffing plans with your past experience, growth goals, service offerings, and so much more; therefore, analyze all the qualities important to you and determine if they are a match. For instance, what are the company’s goals in the next five to 10 years? Are they planning future expansion? Is the franchisor investing in the brand? Are their current performance metrics healthy and trending positively? Have recent start-ups performed well? Is the industry for the concept positioned for long term value? Also, be sure to factor in the market area’s need for the franchise’s product or service. You may have the experience and passion to deliver top-notch service, but if there’s already another established and successful company offering the same product to fulfill the target audience’s needs, the opportunity in that space simply may not be viable. Understanding the market potential to a successful franchise is important. Relative to the brand you choose, ensure you have exclusive territory, and take the time to understand its geographic boundaries and core demographics. You do not want another location opening up near you, hindering your ability to maintain a healthy revenue stream. Understand the franchisor’s support model and its operating system and how it positions you for success. Culture. What set of values do the brands you’re considering hold stock in, and do they match yours? Do they have a clear vision and stated mission and purpose? Try and reach out to current franchisees and hear what they have to say about the company, their level of franchise support beyond initial training, and their overall processes as it relates to living out their stated core values. This may be you in a few months, so it’s worth the time and effort to ascertain if potential synergies exist. It is an ideal opportunity to acquire a first-hand understanding of what a day in the life of a particular franchise looks like. Most franchises require their franchisees to meet certain financial requirements before they seriously consider any prospect for approval. Expect this to be an objective exercise based upon financial information which is required, background data, past business experience, and any professional goals which can be articulated. Once approved you may be required to develop a business plan and attend an onsite “discovery day,” an industry standard. Through the approval process you will have the opportunity to review the franchise agreement and ask any relevant questions. Pay particular attention to the Item 19 section and to data about the franchise’s financial results. It’s imperative to thoroughly analyze the deal you’re considering. It is required by law to receive the disclosure document at least 14 days in advance of signing, so take this exciting but significant, possibly life-changing period to carefully dissect the contract and to seek answers to questions which may arise. When working with banks and the franchisor, it is important you have a business plan, a budget, and a forecast. Many franchisors help with this process. It is also important, when working with a bank, to understand if your franchisor has on file a Bank Credit Report. This is a confidential document prepared just for banks to understand the success of the franchise concept versus other concepts, it details information about the company’s past performance. 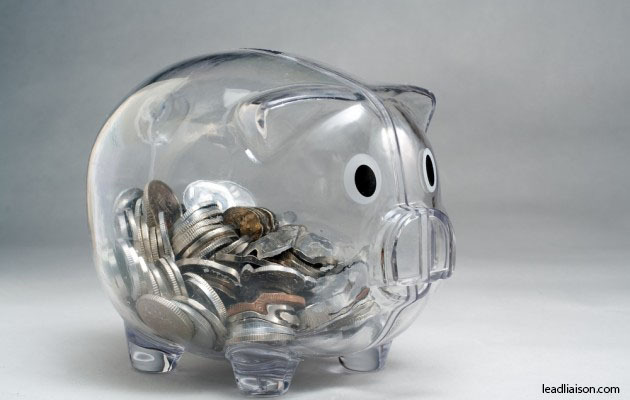 A successful brand should have a positive report to help you obtain financing with the bank. Above all else, follow your passion. A franchise may have all the right attributes on paper, but if you’re not passionate about the brand and what it offers, lasting professional success and personal satisfaction will be difficult to maintain. And if you do choose to invest in the brand you’ve identified as “the one,” commit wholeheartedly to the process before and after your doors open to the public. A franchise has spent decades, in many cases, perfecting their processes, so it is in your best interest (and your money’s) to listen to and learn from the experts to make your business grow beyond your wildest dreams. It happens every day to people just like you! Transparency means freedom from pretense or deceit. In business, this typically describes a company characterized by its visibility or accessibility of information. Why is transparency so important? Consumers and business owners today are less trusting of companies and corporations than ever before. Some recent, well-publicized financial scandals at major companies previously thought to be reputable and trustworthy have shaken not only private consumers’ faith in the companies with whom they do business, they’ve also made prospective investors much more careful and cynical when selecting companies for future partnerships. How can a potential franchisee be assured the brand in which he or she is considering investing is honest, trustworthy, and transparent? How can he or she be certain an investment in a certain company will yield an honest, respectable, and profitable business opportunity – and not end in a misalignment of values and expectations – or worse, an embarrassing scandal or financial disaster? In a word: transparency. Look for a franchise company which allows easy access to financial and other vital information. As a prospective franchisee, you should be able to discern data and financial information quickly and easily. Some stats you’ll want to research in your pre-investment planning are average location initial investment costs, average annual revenue per location, average profit per location, average length of time for a new location to become profitable, percentage royalties paid to home office and franchise renewal fees, timing, and parameters. You should also research the variety and quality of home office services available, such as human resources, training, marketing, accounting, information systems, and other functions. Also, make sure the franchise fee and royalties paid per location are appropriate for the level of home office support offered. Just as important as the financial health of the company, what characteristics define its culture? Are most current franchisees pleased with the company’s business model, executive management style, and the general direction in which the company is heading? Do the current franchisees feel valued, listened to, and supported by the franchisor? Are franchisees engaged with the system: Do they meet regularly, communicate with each other, and attend annual or semi-annual meetings to stay in touch and engaged? These are all important gauges of not only company performance but of a company’s overall values, culture, and management philosophy. It’s critically important to evaluate these attributes when deciding whether a franchise system will be a good fit for you. All current franchisees can access real-time online reports recapping each location’s financial performance, customer service, community service, and key metrics. An overview of these metrics is available to prospective operators as well. The popular and well-attended Annual Meeting is held every spring which is attended by approximately 90 percent of franchisee, along with their key team members; this indicates a robust employee interest in company events and culture. At the Annual Meeting, franchisees are encouraged to network, share best practices, collaborate to identify solutions to their challenges, learn more about the evolving industry and specific business practices, and interact with the corporate office staff – all activities which characterize a true “system of one.” TWO MEN AND A TRUCK® has more than a handful of franchise owners who have “grown up” in the system, starting as franchise location movers, drivers, or CSRs and eventually becoming buyers of their very own franchise. It’s a new year, which means there’s no better time to consider your future business aspirations and best available opportunities. Whether it’s adding onto your already existing business platform or launching a new business venture, why not consider leveraging a TWO MEN AND A TRUCK® franchise opportunity in one of several available markets within the U.S.? 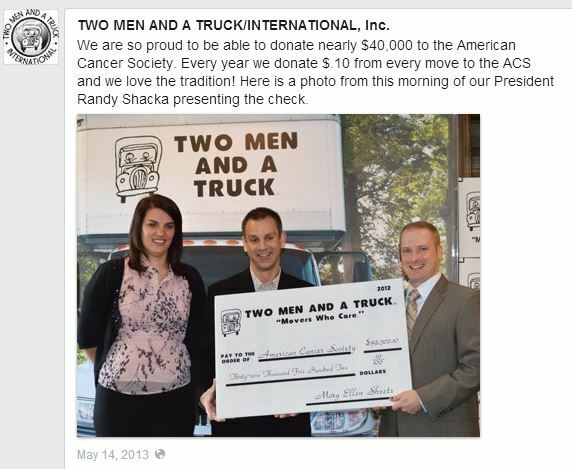 I could go on and on about the company, from its success to its dedication to the communities in which franchisees and employees work and play, but instead I’ve made a simple list highlighting why you should invest in a TWO MEN AND A TRUCK® franchise. 5. The core values. Research any company and locate their core values on their website and in their marketing collateral. Are their values noble – and even lofty? Likely, but how do you know they are consistently taken to heart and lived out with passion and purpose, keeping them at the forefront of each customer interaction? TWO MEN AND A TRUCK® has clearly illustrated examples of our franchisees, movers, drivers, and office staff genuinely caring for their customers and communities. 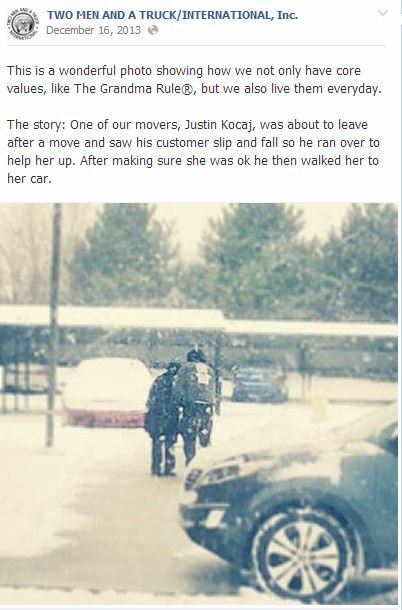 Take a look at Justin following the Grandma Rule® (posted below), the 120 franchises who ran the Movers for Moms® program to support mothers each Mother’s Day living in domestic abuse or homeless shelters, or the check that was donated to the American Cancer Society (post below) as a result of TWO MEN AND A TRUCK®’s donation of 10 cents of every move. The stories are real, and so is the dedication of each team member to this brand. 4. Corporate support. 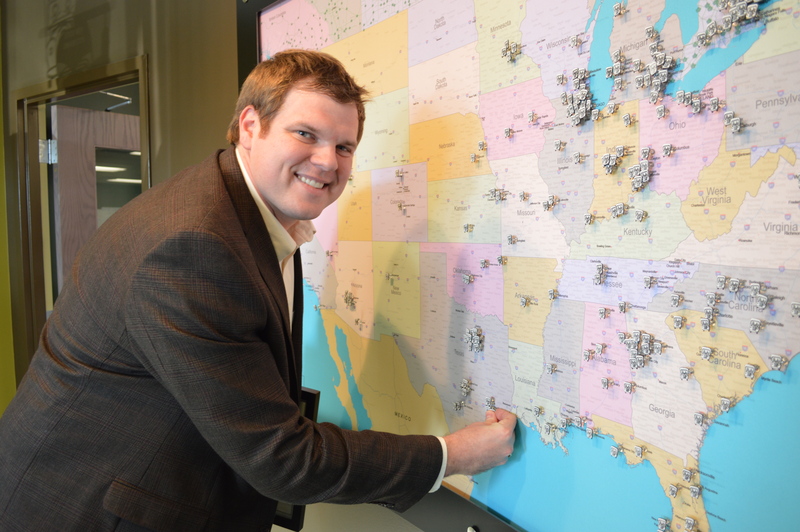 With more than 260 U.S. franchise locations, TWO MEN AND A TRUCK® continues to expand across the map! In addition to the new and existing locations, our corporate office continues to grow and provide the most experienced subject matter experts on everything from financial tools to strategic marketing programs and tools. Dedicated teams are available to support franchise locations on the most critical aspects of the business to optimize each franchisee’s opportunity to become successful operators. TWO MEN AND A TRUCK®’s headquarters also features a state-of-the-art training facility and offers a program which new franchisees and system managers are required to complete in order to launch a new marketing area. Upon graduating STICK MEN UNIVERSITY®, franchisees walk away with the tools, knowledge, and the confidence to run a successful operation. 3. The people. 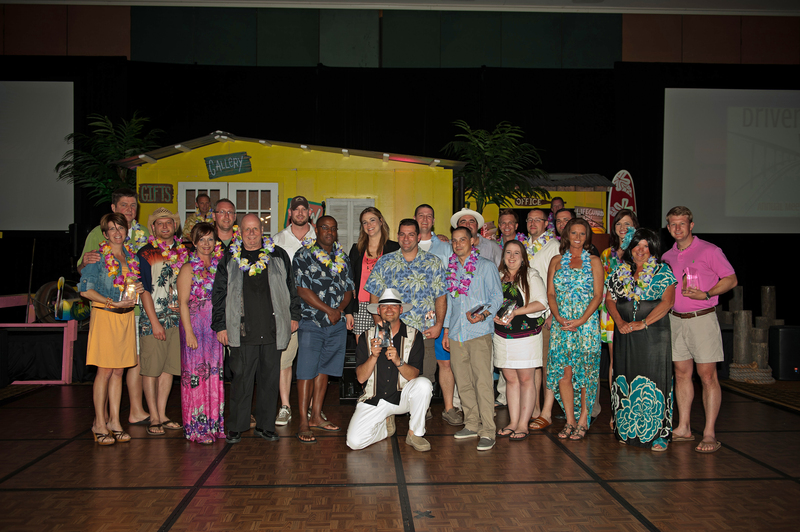 The people at TWO MEN AND A TRUCK® are what cultivate a successful and fun atmosphere. TWO MEN AND A TRUCK® franchisees and team members join with myriad professional backgrounds, and the company is big on hiring for attitude and training for skill. The combination of winning attitudes and proven processes make it the perfect equation. Lifelong friends and mentors are made every day, and the support franchises offer one another makes a solid impact on the system and its unique culture. 2. Technology. I know you’re probably wondering what technology has to do with moving. Actually, it has everything to do with moving! In this high tech world, technology actually makes our moving processes — from scheduling moves in the office to dispatching trucks to our customers — a more efficient and automated proposition. In the end this benefits the franchisees and, most importantly, the customers. TWO MEN AND A TRUCK®/International, Inc. has spent millions of dollars during the past three years to improve the entire system and to set up future processes for optimal integration and adoption. 1. System success. The numbers don’t lie. Forty-eight straight months of growth and 32 consecutive record months. To put it into perspective that’s four years of company growth, a time which has been punctuated by many businesses experiencing a decline in performance. The processes, the people, and the company continue to evolve, pushing the envelope and moving TWO MEN AND A TRUCK® even closer to being the number one moving company in the world. Why wouldn’t you want to be part of something this special? New Year’s Resolutions – New year, new business, new you. Lose weight. Learn a new skill. Be more patient. Travel more. Improve your relationships. Every New Year you might find yourself considering something to conquer personally, and you decide with determination this is the very year it will finally happen. You start off with a bang once the celebration wears off, but then a couple months in you find yourself taking out your running gear once a month versus every day. Face it: Personal New Year’s resolutions are tough. Life can present unexpected challenges which take you off course or set you on completely new paths. 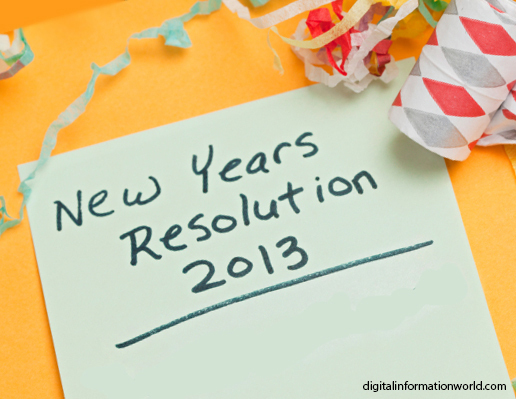 Instead of declaring a personal resolution in 2014, make a business resolution instead. After all, if your business is good, perhaps some of the things you struggle with personally such as stress can improve as a result. Good business equals a happier business owner. 1. The good and the bad list: Create a table with two columns. Label the columns “What Worked in 2013” or “What Didn’t Work in 2013”. Think of everything you tried to improve within your business or any mistakes you made where you experienced net-negative consequences. Once complete, rank the three best things and the three worst things. For all of those six items, simply write a statement of how you intend to keep doing more of the right things and, for the worst, how you intend to prevent repeats in 2014. Keep this list with you daily; publish it if you have a team, for they can each impact the best and the worst. This is now your professional improvement road map for success. 2. Resolve to take a risk: So now that you have some focus with the list above, consider taking a calculated risk. Resolving to take risks can be a scary thing indeed, but every business which goes from good to great has a history of risk-taking somewhere along its continuum. Choose to take at least one risk with your business. It can be an investment decision, a people decision, a location decision, or an expansion decision. Pick something you may have considered in the past but eventually ruled out because the time was never perfect to step into the breach. Here is the secret: Risk never finds the “perfect” time. Which is the whole point. You just don’t know how it will turn out, but even if it doesn’t work out as intended, you get better and braver as a business owner for having tried. Odds are, if you run a solid business in general, you are the person best able to make good decisions on which risks to take. 3. Spice up your leadership: Now here is the tough one where we get a little more personal with you as a business leader. What did you not do well with your team in 2013? Be honest. Where did you fail them? Where did they fail you, and how did you contribute to the situation? Now search in books, online in general, or reach out to fellow business owners and share your leadership shortcomings. You will more than likely find many answers and resources to help you identify and make solid improvements. If you did not do #1 or #2, doing this alone will help your business. Great leaders = great businesses. You don’t have to be perfect, but you do have to show those you lead that you strive to be a better leader. This is what will make you both human and inspirational to your team every day. Inspired team members work harder and smarter for you. At TWO MEN AND A TRUCK®, we have resolved over the last few years to work on developing the best business practices and evolve our system leadership style to get ahead of the rapidly changing business environment both in the franchising and moving industries. We did this because we realized we were not growing as quickly as we could. It was important the franchisees were our partners and agreed to and helped shape this resolution. The results have been continuous with 48 months of continuous growth and 32 consecutive record months, which has led to more personally satisfied franchisees year over year as measured independently by Franchise Business Review. Good luck if you still decide to run like Forrest Gump in 2014 or learn eight new languages. Personal goals can be fun and rewarding. But don’t forget the time and importance your business represents in your life and how it can impact your personal satisfaction. Resolve to run a better a business and see what happens this year!